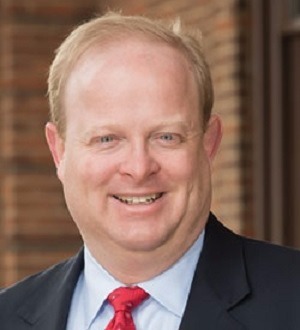 Thomas Tuft, a native of the East Side of Saint Paul, is a shareholder at Tuft, Lach, Jerabek & O’Connell, PLLC practicing in all areas of family law, including complex divorce, child support, paternity, and child custody. He is a Rule 114 Qualified Neutral, a Social Early Neutral Evaluator (SENE) and Financial Early Neutral Evaluator (FENE). Thomas Tuft has been named to the list of SuperLawyers® since 2002 and has been named to the list of the Top 40 Family Law SuperLawyers in Minnesota since 2004. He has been named to the list of Top 100 Superlawyers in Minnesota each year since 2006 and was named to the Top Ten list in 2016 and named to the list of Best Lawyers in America® and was named the Best Family Law Attorney in the Minneapolis Area for 2017 by the same survey. He is rated AV (the highest possible rating in both ethics and legal skills) by Martindale-Hubbell one of the nation’s oldest and most respected attorney listings. He is a member of the American Bar Association, Minnesota State Bar Association, and Ramsey County Bar Association. Mr. Tuft is a Fellow and Vice President of the American Academy of Matrimonial Lawyers — Minnesota Chapter, and is a past chair of the Second District Ethics Committee. He frequently lectures on various family law matters, including divorce, custody, child support, as well as legal ethics and law practice management and law office technology.